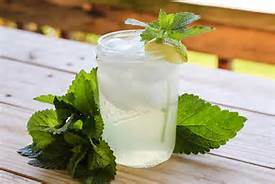 Today I say good morning to lemon balm, she grows so abundantly in my garden, on hot summer days she makes a nice body cooling ice tea and on cold winter days she brings calm and warmth to my soul. I adore using lemon balm in my healing medicines, it works nicely on any lip issues such as fever blisters, herpes blisters or chapped lips. I also use it in my skin healing salves and my gardeners hand cream. Lemon balm holds calming healing properties for the soul and the body. This morning I will be harvesting the Lemon Balm in my yard to dry for winter use, stop by the shop to get some! Today’s herbal tea at the shop will be with Lemon Balm! My boyfriend and I drink Organic Jasmine Green Tea all day long because it is an antioxidant and really tastes great with a little honey!